Pascale teaches her work via lectures and workshops. Usually, they are in Dutch. But on special request, Pascale is also able to do lectures and workshops in English. Together with coach and trainer Egbert Brons she teaches the workshop entitled ‘Magic of Manifestation: from Desire to Reality’. Pascale also conducts the workshops ‘Gedachtenkracht Basis’ (Mindpower Basics) and ‘Gedachtenkracht Pro’ (Mind Power Pro) several times a year. The workshop ‘Gedachtenkracht Basis’ offers an interactive afternoon during which you’ll learn about the far reaching influence your thoughts have on your health and life expectancy. The workshop ‘Gedachtenkracht Pro’ teaches that your thoughts literally have creative power and eventually even form your own reality. I also give individual workshops for people who are interested in these subjects but are not able to come on the scheduled dates or who’d rather not attend a group workshop. These individual workshops might be especially interesting for people who are having medical issues. Maybe you are currently undergoing some kind of (invasive) medical treatment, facing surgery or dealing with a difficult diagnosis and you no longer want to live in fear but instead want to achieve a higher level of confidence and a steadfast belief in a speedy recovery. Or you’d like to learn how to do successful affirmations and visualizations in order to experience less stress, less pain and less side effects of your medication or treatment, stimulate your immune system and enhance your overall quality of life. Then my Mind Boost Session could be just the thing for you! Should you be interested in such an individual Mind Boost Session, please contact me via info@pascalebruinen.com and together we’ll check out the possibilities. 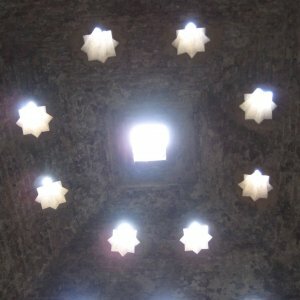 Please note: Mind Boost Sessions are also in English. For a more complete overview of my workshops, please scroll down. Saturday 16 February 2019: Workshop Gedachtenkracht Basis (Mind Power Basics). SOLD OUT! 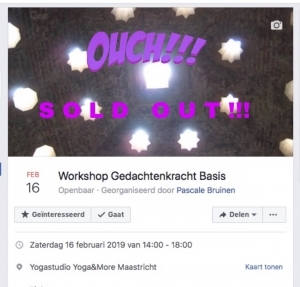 IN CASE OF SUFFICIENT INTEREST, PASCALE WILL HOST AN EXTRA WORKSHOP GEDACHTENKRACHT BASIS ON SATURDAY 23 FEBRUARY 2019. PLEASE SEE DETAILS BELOW. 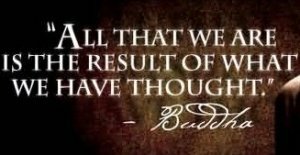 On Saturday 16 February 2019 from 2 until 6 pm, Pascale teaches her workshop Gedachtenkracht Basis in yogastudio Yoga & More Maastricht on how your thoughts influence your health and life expectancy. In this interactive workshop Pascale shares scientific research and facts that convincingly show that ‘mind over matter’ is not only true, but that it can also be the best way to more self empowerment with regard to your own health. Because the latest research reveals that with the right mindset, we are able to control much more of our health than we ever thought possible. So travel with Pascale to the wonderful world of the mind-body connection, the placebo and nocebo effect, the feedback loop and biofeedback. Learn about mental rehearsal and visualization, neuroplasticity of the brain and even how to (partly) reverse aging. Know how to be your own placebo based on Pascale’s experiences when she had to undergo major surgery. She managed to not need any painmedication post-op and she recovered extremely fast thanks to meditation, affirmation and visualization. After this workshop you’ll never look at your mind and body in the same way again! You’ll be ready to start applying everything you learned in order to steer your health in the most positive direction. Cost: € 59,95 exclusive VAT(€ 72,54 inclusive VAT), water/coffee/tea with a treat and a (signed) copy of Pascale’s book ‘Het Jaar van de Uil’ (‘The Year of the Owl’ in Dutch). ATTENTION: your allotted spot will become final after payment. Spots are limited, so sign up early! Saturday 23 February 2019: extra workshop Gedachtenkracht Basis. In case of sufficient interest Pascale will host an extra workshop Gedachtenkracht Basis (Mind Power Basics, in Dutch) on Saturday 23 February 2019 from 2 p.m. until 6 p.m. Come and experience an inspiring afternoon about the enormous powers of the human mind and how your thoughts influence your health and life expectancy! Do you want to take a step in the direction of your dream? Or do you want to know what your deepest desire is? Maybe you ask yourself why you’ve ended up in a negative pattern and you don’t know how to break this? Do you want more magic and wonder in your life? Are you looking for a concrete action plan to really create that change? Then this workshop is for you! Here you’ll learn in a playful way how you can make the universal law of attraction work for you instead of against you. What does this workshop offer you? During this inspiring day you’ll learn how to create the reality you want. This might be a small or a very big dream. Everyone has one, but in some people the dream has become hidden under layers of dust, so to speak. 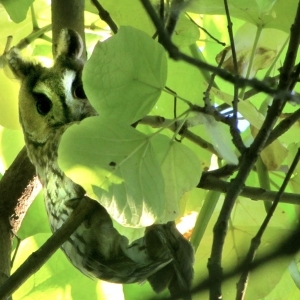 This workshop offers hopeful and surprising insights into the power of your thoughts and the workings of the law of attraction as described in Pascale’s book ‘Het jaar van de uil’ (‘The Year of the Owl’). Thanks to the Magic of Manifestation toolkit, a concrete step by step plan that will take you from desire to reality, these insights will be translated to practical applicability in your daily life. Many people live on auto pilot, unaware. If that is the case for you, you can experience the feeling that life is living you instead of the other way around. Life, then, just passes you by as you do not exert a positive and conscious influence on your reality. In this way, you’ll run the risk that you do not live your best life and that your dreams stay out of reach. Everyone who wants to steer his or her life in the right direction and wants to make his or her dreams come true. From 10 am -5 pm, Egbert and Pascale offer you an experience based interactive workshop. You’ll get a concrete step by step plan that has been measured against existing practices. 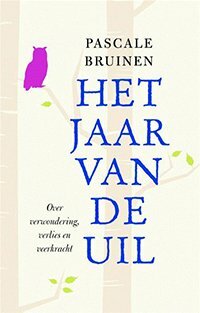 € 114,95 euro (VAT included), coffee/tea/water, a tasteful lunch and a (signed) copy of ‘Het Jaar van de Uil’ (‘The Year of the Owl’ in Dutch) by Pascale Bruinen. Via info@pascalebruinen.com. ATTENTION: your allotted spot will become final after payment. Pascale Bruinen has a legal background as a lawyer and public prosecutor. An intense spiritual experience in 2013 after the death of her father shook her rational world to the core. Ever since, she has immersed herself in the magic of manifestation, a process that describes how something that starts out as a thought in your head eventually manifests in everyday life. This magical event even led to her decision to quit her job as a prosecutor in order to follow her writer’s heart. Pascale is the author of ‘Het jaar van de uil’ (‘The Year of the Owl’) that describes this personal transformation (Kosmos, 2016) and of ‘Mijn eerste lijk is gelukkig vers’ (‘Fortunately, my first corpse is fresh’) in which she candidly shares an unprecedented peek into her world as a prosecutor (De Fontein, 2015). On Saturday 15 June 2019 from 2 -6 pm Pascale teaches the workshop Gedachtenkracht Pro: how your thoughts influence your sensory reality. Conscious use of mind power is a creative force that establishes the world around you as you see it. In this workshop you’ll explore the magic of manifestation: how something that starts out as a deep desire, eventually manifests in your everyday life. You’ll get to know the law of attraction and learn how to make it work for you. You’ll also become aware of the obstructions that can present themselves when you go in the direction of your dream and how to bypass those. And you’ll be getting acquainted with some principles of quantum physics like non-locality, the observer effect and the invisible field of infinite possibilities. After this workshop you’ll be able to apply the principles of the law of attraction and, by doing so, make your dream come true. Cost: € 59,95 exclusive VAT(€72,54 inclusive VAT) included water/coffee/tea with a treat and a (signed) copy of Pascale’s book ‘Het Jaar van de Uil’ (‘The Year of the Owl’ in Dutch). It was a memorable Sunday, full of inspiration, enthusiastic attendees and a beautiful serene location at Yoga & More Maastricht. Everyone had their radar open for new knowledge and new angles of looking at something. All the attendees connected very well together and we also enjoyed a wonderful lunch made by Adventurecook. The good vibrations were all over the room! The workshop was held in a positive, informal and relaxed manner, which was due to everyone’s good effort and openness. For Egbert Brons and Pascale it was a very beautiful experience to see how motivated everyone was at the end of the day to take concrete steps in the direction of their dreams. After all, that’s why they do this! Therefore they are both very grateful for the results. Grateful that we received such a warm welcome at Yoga & More Maastricht. Luckily, we also had this wonderful spot outside available as the weather was very nice. This is our subject for the day. This treasure chest intrigued all the attendees. Everyone received a nice little notebook. Ready to start the day. Enough room for a good laugh. The excellent lunch provided by Adventurecook. The day passes in a relaxed and pleasant manner. This is what it is all about at the end of the day. Of course Pascale can also customize a group or private workshop (for those who don’t want to be in a group) to fit your special needs. In order to find out the possibilities, please contact her via info@pascalebruinen.com.